A telephone survey in 1996 indicated that about 35% of people living on the coast adjacent to the Great Barrier Reef fish for recreation, most of them doing salt water fishing. The actual volume of fish caught by recreational anglers on the Great Barrier Reef is extremely difficult to assess. A 1993 study estimated the total annual catch on the Great Barrier Reef from the 24,300 privately registered boats was 2.6-3.2 million fish. A total of 122 charter vessels operators hold permits to undertake fishing trips within the Great Barrier Reef Marine Park. Game boats troll for surface feeding pelagics with the grand prize being a black marlin. Others fish the bottom closer for shore for the beautiful eating Coral Trout and Red Emperor. 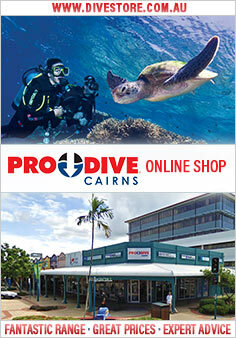 For more information on recreational fishing around Cairns, visit the Fishing Cairns web site.